BMW Group sales of electrified vehicles in the first three quarters of 2017 have exceeded those achieved in the whole of 2016; in September, electrified sales topped the 10,000 mark for the first time in a single month. With the company’s electrified line-up already totalling nine models, a total of 10,786 (+50.5%) BMW i, BMW iPerformance and MINI Electric vehicles were delivered in September, bringing the year-to-date total to 68,687 (+64.2%). 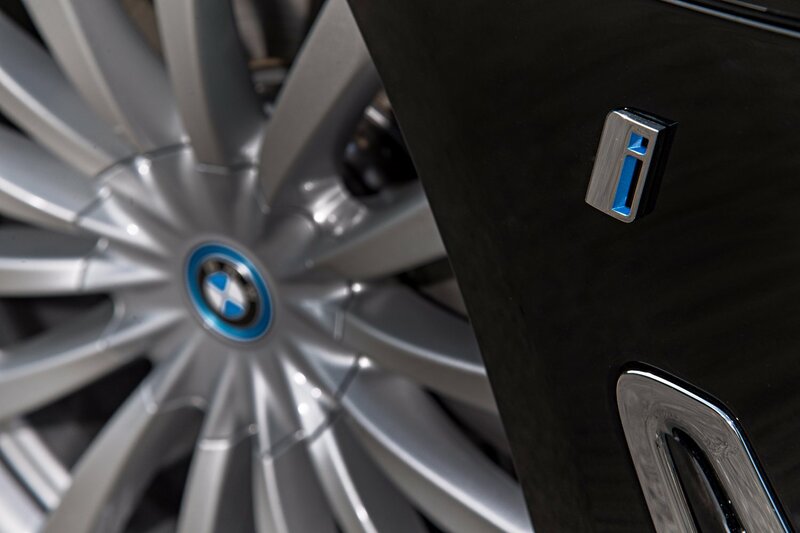 “We are pleased to see the ongoing, strong sales development of our unrivalled range of electrified vehicles, with independent reports* confirming our leadership in the field of electromobility,” commented Dr Ian Robertson, BMW AG Management Board Member for Sales and Brand BMW. “The BMW Group has the largest share of the electrified market worldwide; this year, we’ve already sold more electrified vehicles than in the whole of last year and we are well on track to deliver our target of 100,000 by year-end. The continued significant sales growth of these vehicles is due in part to the increasing availability of the BMW 5 Series plug-in hybrid, which in some markets accounts for up to a third of BMW 5 Series sedan sales,” he continued. September also saw growth in overall BMW Group sales. Despite the current changeover of the significant BMW X3 model, deliveries in the month totalled 239,764 (+0.8%) worldwide, bringing the year-to-date total to 1,811,234 (+3.7%). Both figures represent best-ever sales for the respective period. Global BMW brand sales in the first three quarters of 2017 increased by 3.9% with a total of 1,537,497 customer deliveries worldwide. These record figures can be attributed to increased sales across a variety of models in the portfolio. The BMW X family remains a strong growth driver, despite availability of the BMW X3 being significantly affected by the current model changeover. Total BMW X sales were up 12.5% (522,360) in the first nine months of the year. Other models contributing significantly to sales growth this year include the BMW 1 Series (143,018 / +10.8%) and the BMW 7 Series (47,880 / +14.7%). Meanwhile in September, the new BMW 5 Series achieved sales growth of 48.8% (23,737) in markets excluding China, where the 5 Series is currently in model changeover. The first nine months of the year also saw MINI achieve new record sales: worldwide, a total of 271,394 were delivered to customers, an increase of 2.8%. “MINI continues to achieve sustainable sales growth with the new MINI Countryman proving a particularly strong growth driver,” commented Peter Schwarzenbauer, BMW AG Management Board member for MINI, Rolls-Royce and BMW Motorrad. “The popularity of the first ever MINI plug-in hybrid, which has already been delivered to more than 2,700 customers worldwide since it was introduced in June, is particularly exciting,” he continued. Almost one in ten Countryman sold in September was a MINI Cooper S E Countryman ALL4 (fuel consumption in the EU test cycle: 2.3-2.1 litres/100 km, electricity consumption 14 kWh/100 km, CO2 emissions: 52-49 g/km). The Goodwood-based Rolls-Royce brand delivered 2,343 (-10.7%) cars to customers in the first three quarters of the year. This result takes into account the current absence of Phantom from the market, pending first customer deliveries of New Phantom in January 2018, and challenging market conditions within the global luxury sector in a number of regions around the world. Significant rebalancing of the company’s manufacturing plant in preparation for new models has proceeded throughout this period. New Phantom was unveiled in July in London to worldwide acclaim and already has a strong order book. BMW Motorrad once again achieved record sales in September, with 14,090 motorbikes and maxi-scooters delivered to customers. This was an increase of 15.3% compared to the previous year. In the first nine months of the year, 127,818 units were delivered to customers – an increase of 10.1% compared to the same period last year.